For decades, the most famous building in the West Village was Westbeth, a massive blocklong former Bell Laboratories building that housed artists like Diane Arbus and Robert Beauchamp. Now, when housing in the neighborhood makes news, it’s typically focused on record-breaking sales at buildings like 150 Charles Street or the controversial conversion of St. Vincent’s Hospital into the Greenwich Lane condominium and townhouse complex. Like many downtown neighborhoods, the West Village has shifted from a manufacturing and artistic stronghold to a center of tourism and wealth. Where meatpackers once carried hulking beef carcasses across the cobblestones at dawn, the new Whitney Museum of American Art now stands. And while Westbeth and its artists manage to hold on, it has become an island of affordability in a sea of multimillion-dollar homes. Now comes the latest entry in this changing landscape. 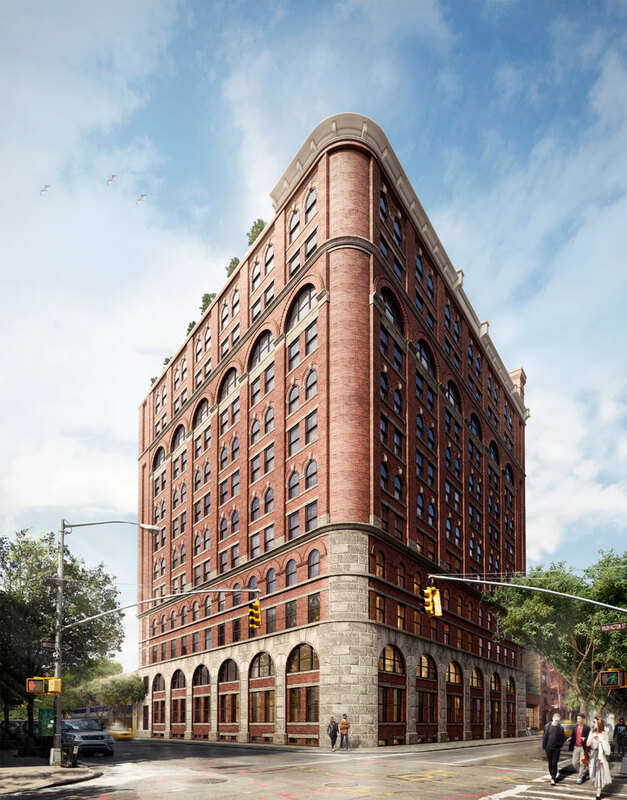 The Shephard, at 275 West 10th Street, at the corner of Washington Street, will open in 2017 with 38 apartments, with prices from $4.35 million for a two-bedroom to $29.5 million for a nearly 6,000-square-foot penthouse. Originally built as a warehouse in 1896, the Shephard epitomizes the changes in the neighborhood. The 12-story red brick and granite building is part of the Greenwich Village Historic District, and in the late 1970s, it was converted into rental apartments. Last year, the Naftali Group and Starwood Capital bought it for $68.2 million, and it remains home to about a dozen rent-stabilized tenants. The West Village, with its quiet tree-lined streets and historic, low-scale buildings, is considered one of the most desirable neighborhoods in New York. 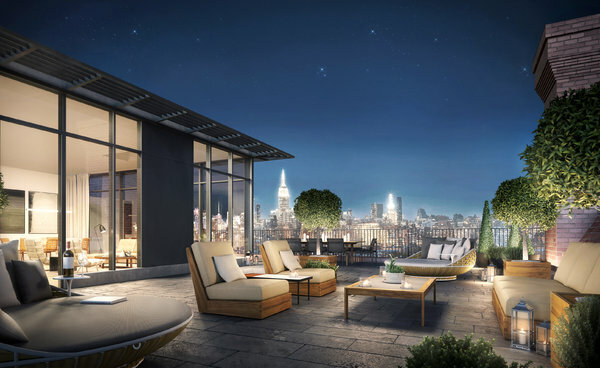 The median sales price for new developments here was $5.21 million through August, according to data from StreetEasy.com, almost four times the $1.4 million median sales price for new developments across Manhattan. The Shephard is the latest new project, following on the heels of two large-scale developments — 150 Charles Street, with 91 apartments, and the sprawling Greenwich Lane, consisting of five condo buildings as well as townhouses. As for additional new developments, only a handful are known to be in the works, including the conversion of the former Koppers Chocolate factory on Clarkson Street; a possible 12-story condominium at 111 Leroy Street that would also include separate housing next door for lesbian, gay, bisexual and transgender seniors; and an Ian Schrager-designed development on West Street. “The West Village is kind of Teflon, because supply is limited and there is strict zoning and landmark requirements,” said Raphael De Niro, an associate broker at Douglas Elliman Real Estate, who grew up in the neighborhood. He added that local New York buyers, rather than foreigners, tend to drive demand, which helps insulate the area from global volatility. While the median price in the West Village remains high, the market there has shown signs of softening. The median sales price of $5.21 million is nearly 42 percent below the same period in 2013, when it was $8.91 million, according to StreetEasy. Some of this decline can be attributed to several high-end sales at the Abingdon, a condo development at 607 Hudson Street that went on the market in 2013. To that end, Mr. Naftali hired the architecture firm Beyer Blinder Belle to oversee the restoration of his 10th Street building, along with interior designers at Gachot Studios. The developers are installing new building systems, a new lobby entrance and a private residents’ garden, and adding three penthouses to the building. Among the Shephard’s amenities are a paneled library that opens onto a garden; a gym that features an indoor half-basketball court and a bouldering wall for climbing, and a spa with separate men’s and women’s steam rooms. In the basement, there will be a game room with a custom-made Ping-Pong table and vintage arcade games, as well as a residents’ club with a golf simulator and screening room. The apartments’ finishes include custom solid-core wood doors, double-paned triple-glazed windows and custom mahogany cabinetry in the kitchen and the baths. The flooring is white oak in a herringbone pattern, while the ceilings are barrel vaulted and measure 9 feet 4 inches at the top. All the kitchen appliances are Miele, and some units will include a separate pantry. As for pricing, the Shephard averages around $3,000 a square foot, with a three-bedroom on the 11th floor, for example, asking $9.65 million, or about $3,345 a square foot, while a slightly smaller three-bedroom maisonette is listed for $6.675 million, or $2,670 a square foot. Alexa Lambert, an agent at Stribling and Associates who is overseeing sales at the Shephard, says the pricing is competitive for new development in the neighborhood. For example, residence 3A is a 2,932-square-foot four-bedroom listed at $6.85 million, or $2,336 a square foot. At the Greenwich Lane at 140 West 12th Street, a 3,088-square-foot four-bedroom is in contract for $8.61 million, or $2,788 a square foot; while at 150 Charles, a 2,268-square-foot three-bedroom is on the market for $9.35 million, or $4,122 a square foot. The overall average price per square foot for ZIP code 10014, which includes most of the West Village along with part of SoHo, is much lower, however, at $1,462, according to the appraisal firm Miller Samuel. “We have like seven appointments a day and four celebrities who are seriously considering the penthouses,” Ms. Lambert said, noting that since the units went on the market in late September, three contracts have been sent out to buyers. Because of an editing error, a picture caption last Sunday with an article about a building under construction at 275 West 10th Street misspelled the building’s name. As the article correctly noted, it is the Shephard, not the Shepard.